1. 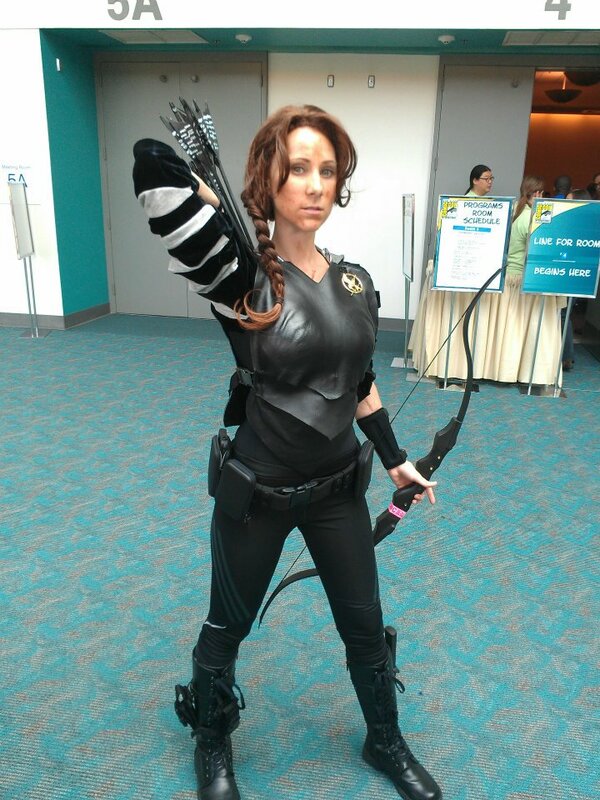 Joss Whedon, Master of the Nerd Universe. I love Joss and everything he does--from Buffy The Vampire Slayer to Firefly to Dr Horrible to The Avengers. However, there was no way I was standing in a line overnight just to see the 10th Anniversary Firefly Reunion Friday morning. Luckily, we were able to squeeze into the auditorium later that day for what was ostensibly Joss talking about his various comic projects with Dark Horse Comics. Instead it turned into Joss being Joss with some of the best Q & A ever. Next up for the busiest man in show business? Finding distribution for his already filmed black and white contemporary version of Much Ado About Nothing. Yes, Shakespeare! 2. Love and Rockets 30th Anniversary Celebration. Hosted by Gary Groth, the publisher of Seattle’s own Fantagraphics Books, this panel featured Los Bros Hernandez (Gilbert, Jaime and Mario) discussing their groundbreaking and now classic independent comic Love and Rockets. I discovered Love & Rockets in college during the late 80’s and still read it today when I can. It was a real treat to see these talented artist/storytellers discussing their work that remains a huge influence today. Case in point: seeing Mike Allred, creator of Madman and iZombie, completely gushing like a giddy fanboy during the Q&A. Adorable! 3. Hark! A Pleasant Surprise! I’m not sure how I have missed it all these years, but my new favorite-thing-ever from the con is Kate Beaton’s webcomic (and now book) Hark! A Vagrant. Beaton pens erudite and hilarious cartoons of historical figures and literary characters mashed up with modern sensibilities and clever ironies... and the occasional fat pony. I only went to this panel in order to kill time until the next thing on my docket and I was totally blown away. Plus, it was certainly the funniest powerpoint presentation on medieval art ever, or any subject for that matter! 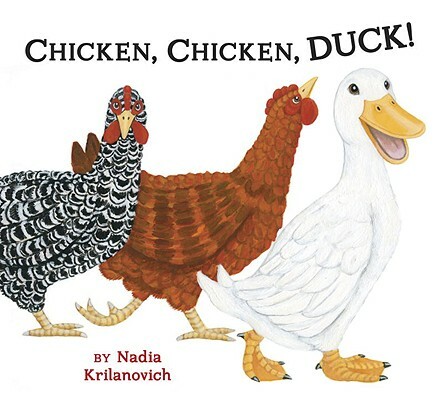 I won't discuss the plot of this book, because its one of those novels that rewards so much to the reader who goes in without preconceptions of what they are in for. 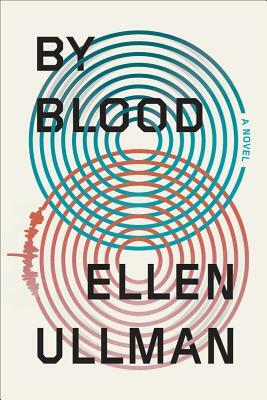 Wonderful in its hypnotic creepy atmosphere, Ellen Ullman’s By Blood, moves like a Hitchcock thriller, bewilders like a labyrinthine Paul Auster story and probes and questions like a Malcolm Gladwell essay. 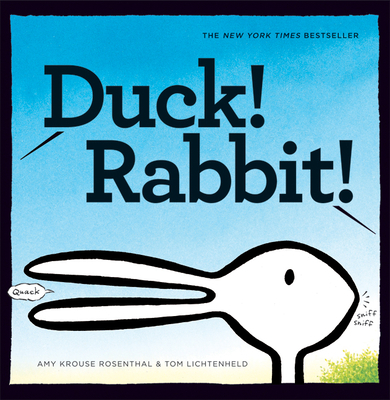 Its one of those books where you know the path will be mysterious and the path’s end unpredictable, but you give yourself over to the ride enjoying the richness of the moments rather than rushing onward for the next twist in the tale. The narrative device that Ullman employs here works wonders, giving the perfect mix of tension and momentum to the story and carefully pacing what the characters and the reader get to learn as the novel progresses. 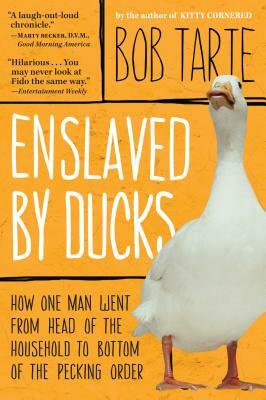 This is a book that is going to a strong word of mouth following. You want other people to discuss it with while your reading it and certainly when you are done. "This is about a girl that goes mining. I don’t know why, but she looks like she would go mining, mining for gold. " Brilliant. Read the entire blog here. When I moved here several years ago, I came without a car. And in the intervening time, I have not yet felt the need to mobilize myself beyond my trusty bicycle (though only in the summer). As a result I spend much of my time on various buses. Which seems to work out because being a law student, devoted cat mother, crafter, and erstwhile bookseller, I don't always have the time I wish to devote to reading for pleasure. So I read on the bus. When others tune out to their tunes, chat with their neighbors, or focus on Words With Friends, you'll find me tucked into a window seat with my nose stuck in a book. Today I was reading Just Kids, Patti Smith's memoir of her life with Robert Mapplethorpe. And when another rider tapped me on the shoulder to tell me that it was her favorite book and that she hoped I loved it too; I got to thinking. Here are all these riders, and lots of us read, and yet we are so cut off from each other. Oh sure, I've posted here about my public transit voyeurism; my love for spying on others to see what they're reading, but I almost never talk to anyone about their books. 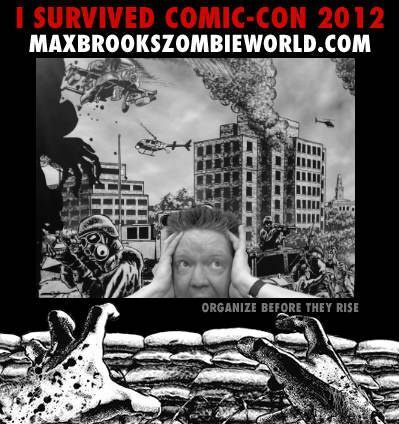 And if you've spent any time with me at all, you know I love talking about books. So why not on the bus? Well, Transportation Choices Coalition has solved the problem. This summer they introduced Books on the Bus (BOB). It's a book club for bus riders meant to create community among transit patrons. 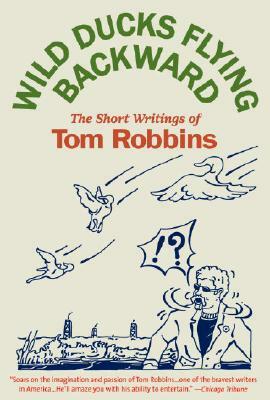 The plan is to introduce a new book every three months. 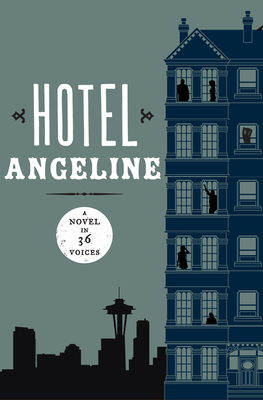 This summer the choice is Hotel Angeline, a novel written in 36 parts; a collaboration among 36 great Northwest authors. And as an added bonus, 50% of the proceeds from the sale of the book will go to local literacy nonprofits Powerful Schools and 826 Seattle. I'm so excited for this idea! So if you see me on the bus, devouring Hotel Angeline, please interrupt me, and let's start up a conversation. For that matter, if you see me reading anything, let's talk. 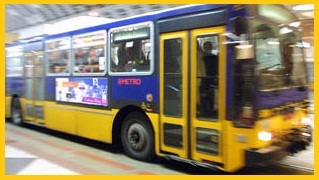 Let's build a better bus ride, a better community, and a better Seattle. 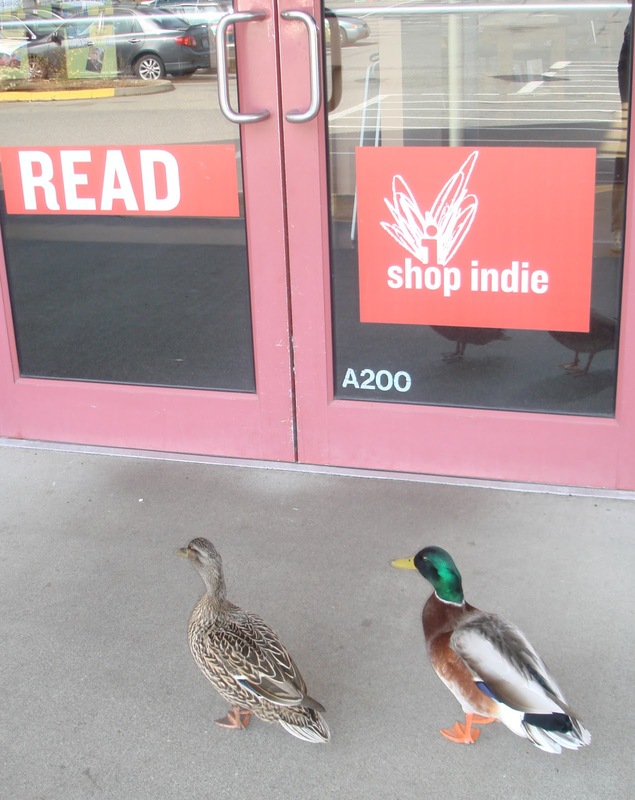 Hope to see you reading on your ride. 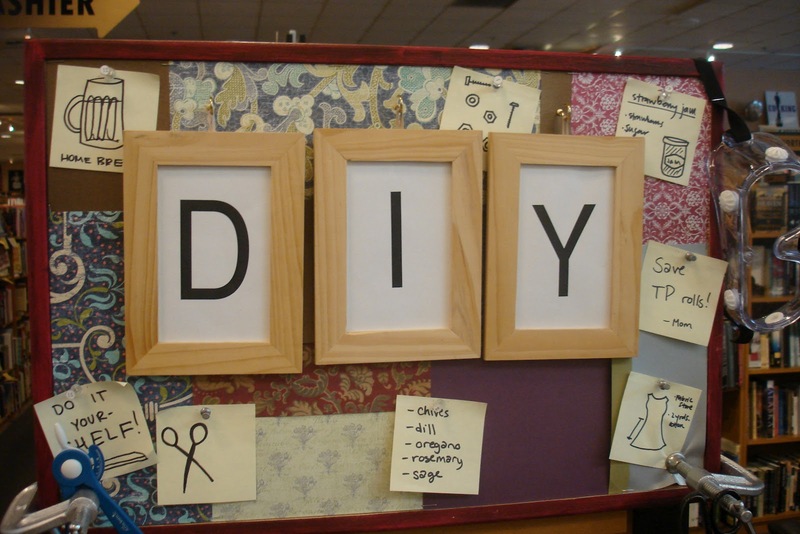 Another great theme table has been crafted here at Third Place Books. Two of our Erins (Erin J. and Erin R.), and one of our Jessicas (Jessica B.) 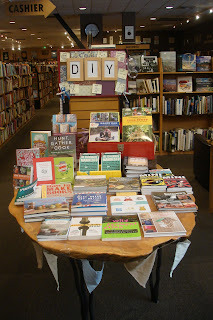 have put together this great table featuring books all about doing things yourself. Forget Pinterest and ideas of virtual crafting, and pick one of these great books and start crafting in real life! 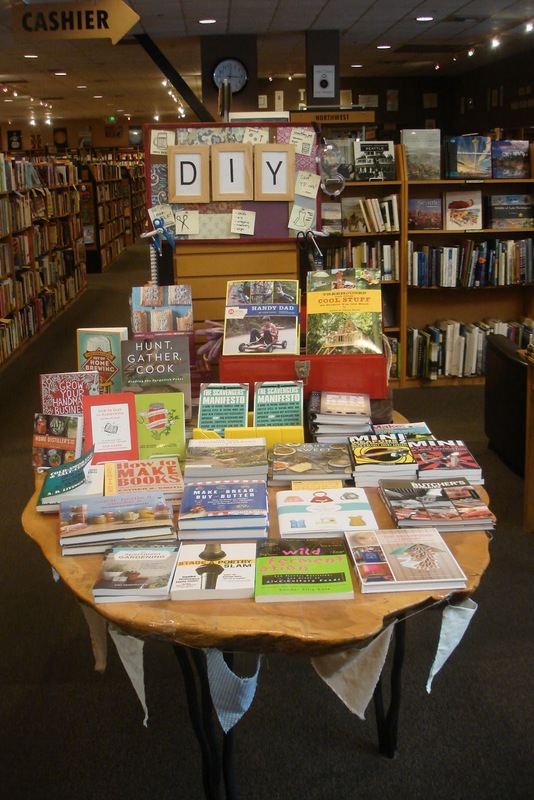 From making books, to brewing your own beer; sewing capes, to building treehouses...these books have it all! From zines you can fold in a minute to luxurious leather journals and sumptuous sketchbooks, How to Make Books will walk you through the easy basics of bookmaking. 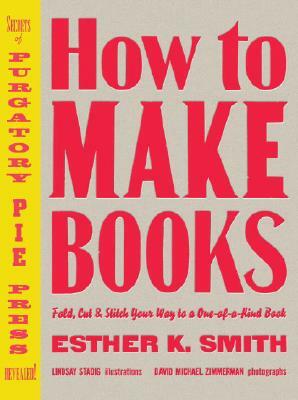 Whether you’re a writer, a scrapbooker, a political activist, or a postcard collector, let book artist Esther K. Smith be your guide as you discover your inner bookbinder. Using foolproof illustrations and step-by-step instructions, Smith reveals her time-tested techniques in a fun, easy-to-understand way. 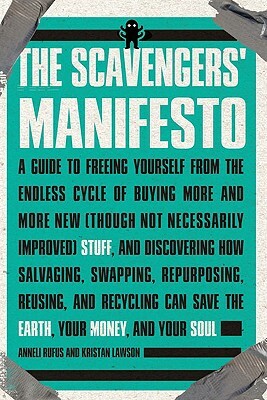 In The Scavengers' Manifesto, Anneli Rufus and Kristan Lawson invite readers to discover one of the most gratifying (and inexpensive) ways there is to go green. Whether it's refurbishing a discarded wooden door into a dining-room table; finding a bicycle on freecycle.org; or giving a neighbor who just had a baby that cute never-used teddy bear your child didn't bond with, in this book Rufus and Lawson chart the history of scavenging and the world-changing environmental and spiritual implications of "Scavenomics," and offer readers a framework for adopting scavenging as a philosophy and a way of life. This month's small theme table has been put together by bookseller Annie, and she has decided to spotlight that ever patient, gentle, and loyal animal...the horse. For most readers, favorite characters are as abundant as the books they reside in. They are as varied as the people who read about them. And some of them aren't always human. This month, Third Place Books is featuring a table devoted completely to the horse characters we love in literature. With good reason. 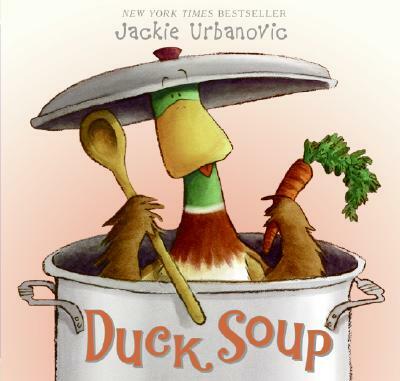 So many characters that are loved in stories just happen to be from the animal kingdom. And often they shine the brightest. Where would Alec Ramsey be without The Black after he washed up on the island? And Gandalf wouldn't have been able to cross Middle Earth nearly as fast as he did on the back of Shadowfax. Of all animals, I find horses to be the most interesting. Not just because I've had a 15 year love affair with horses, but because they have such a capacity for love and friendship with humans. They trust us, and we trust them despite their size and ability to cause a lot of damage if they're scared or angry. They will learn if we give them the chance, and each and every horse I've ever known has been an individual with their own personality. Is it any wonder then that many books have amazing horses as central characters? The wise and brave Artax, the star horse in The Neverending Story, protects his warrior friend Atreyu from danger, and guides him when Atreyu is lost. If only we could hear the wisdom of real horses so easily. And yet, Tom Booker teaches us how to listen properly as he helps Pilgrim recovery from a horrific accident in The Horse Whisperer. Eli Sister can't bring himself to get rid of his one-eyed horse Tub - who lost his eye in an altercation with a grizzly bear - during The Sisters Brothers. These are just a few examples of how horses continue to be a prevalent to our humanity. The books on the Horse Is My Co-Pilot table are just a few selections... who is your favorite horse in literature? 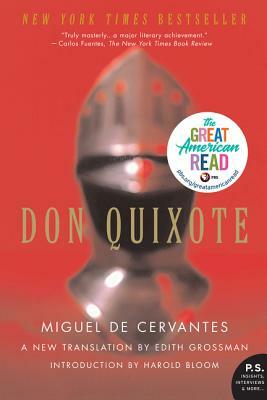 Rocinante gains his name after his master, Alonso Quijano, develops delusions of grandeur and decides to go out into the world on a quest for his "lady love" and to prove his chivalry. Before, a simple farm horse, skinny and expected only to do the occasional bit of work, Rocinante suddenly finds himself carrying the grand Don Quioxte de la Mancha (the delusional Quijano) in full (old, rusty) armor to battle various giants (windmills) and evil knights (muleteers). What's a warhorse (stable nag?) to do? 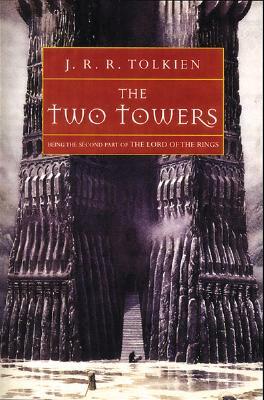 How could the second book in the Lord of the Rings trilogy not find its way onto a table geared to great horses in literature? It contains the greatest horse of them all! Full of dazzling, beautiful, intelligent horses, Shadowfax stands alone as the mightiest of the mearas. He refuses both saddle and bridle.He can traverse Middle Earth more quickly than any other horse. 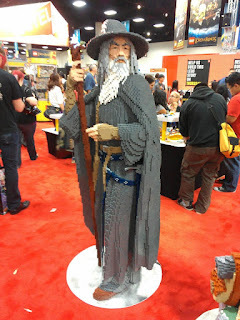 Theoden "gives" him to Gandalf to ride, but of course Shadowfax is the one who allows Gandalf to sit on his back. Such a horse does not let just anyone ride him. Charging fiercely into battle time and again, carrying Gandalf across Middle Earth on dangerous and urgent missions, Shadowfax stands alone among horses in beauty and intelligence. Isn't the internet amazing...sometimes...I guess when it's not wasting your time. Anyway, I stumbled upon this cool thing whilst paddle boarding the web (I'm tired of the phrase "surfing the web," so I'm trying something new, feel free to spread the word). 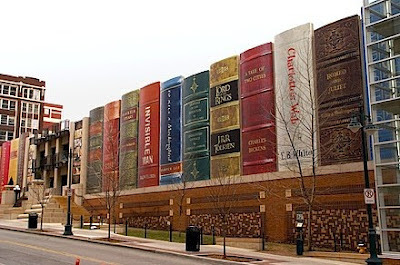 It's called the Community Bookshelf and is located in downtown Kansas City. The giant bookshelf runs along the south wall of the Kansas City Central Library's parking garage. The 22 book spines stand about 25 by 9 feet. I wish Seattle had one of these! So neat! Here's more info on the Community Bookshelf, as well as a list of the featured titles.